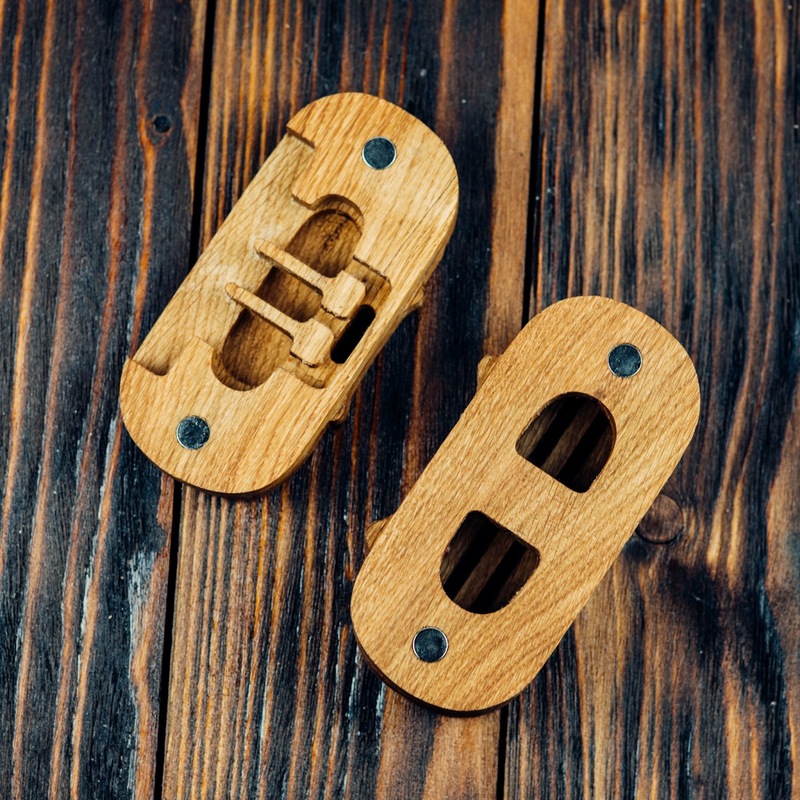 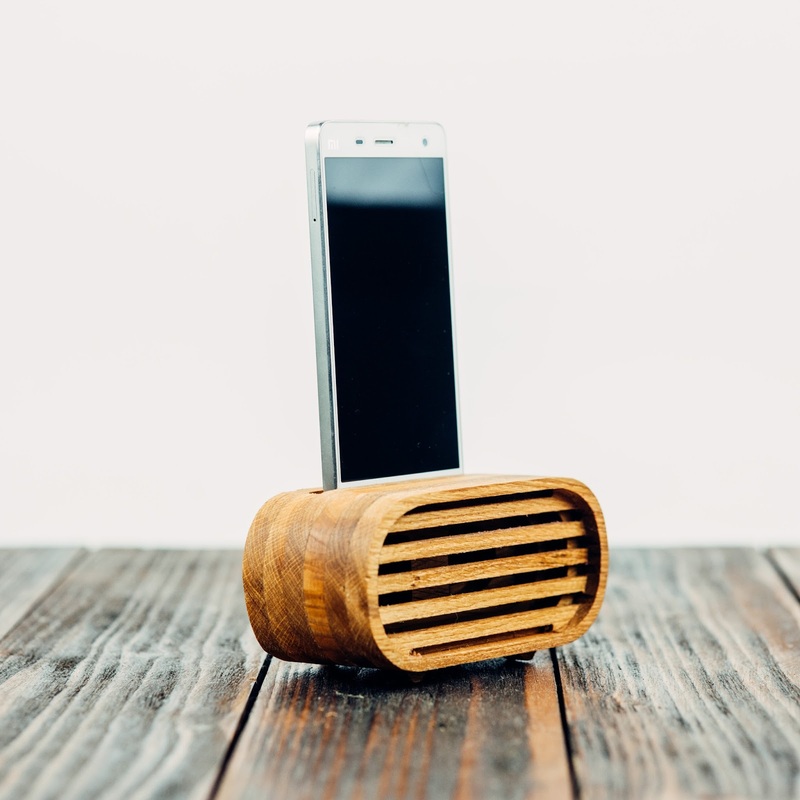 This is retro looking passive phone stand dock wooden speaker for Android and iPhone devices. 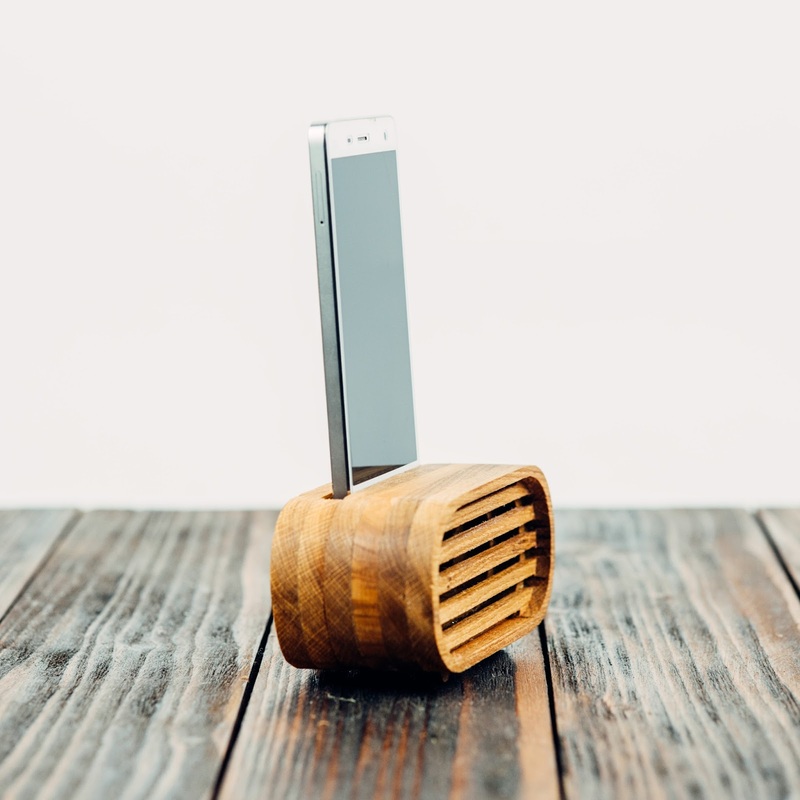 Special designed acoustic chambers of this speaker make your phone sound in a complete new level. 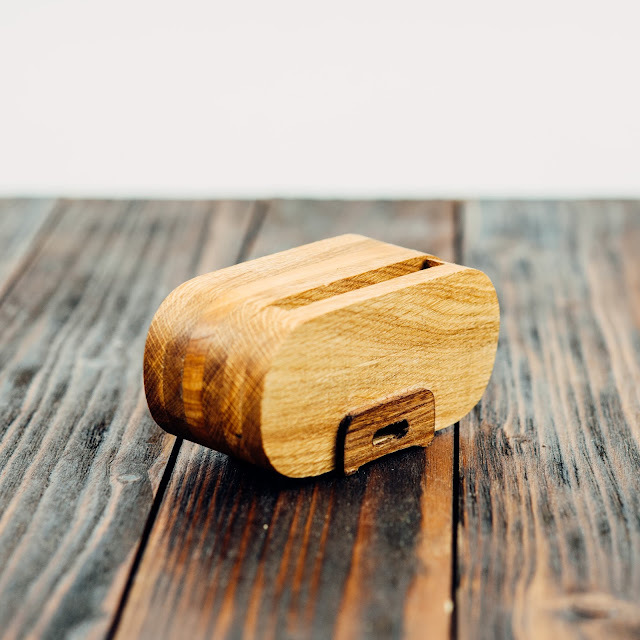 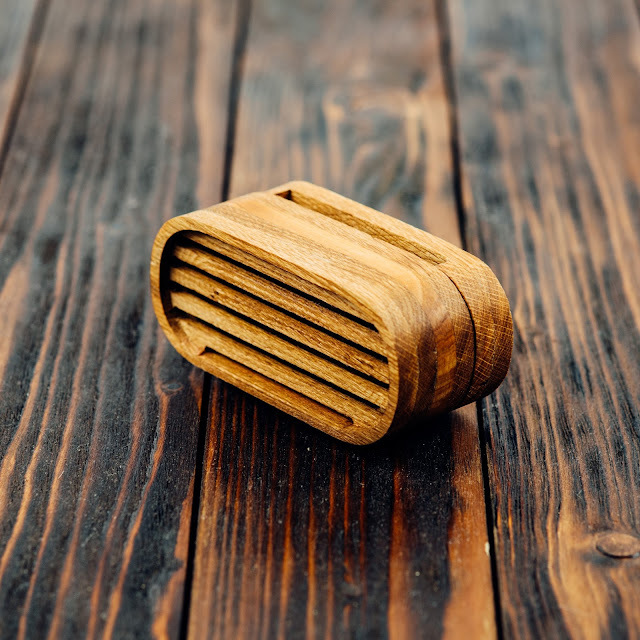 Speaker made from white oak wood and toned to the red color or covered with lean seed oil that capture original oak tone. 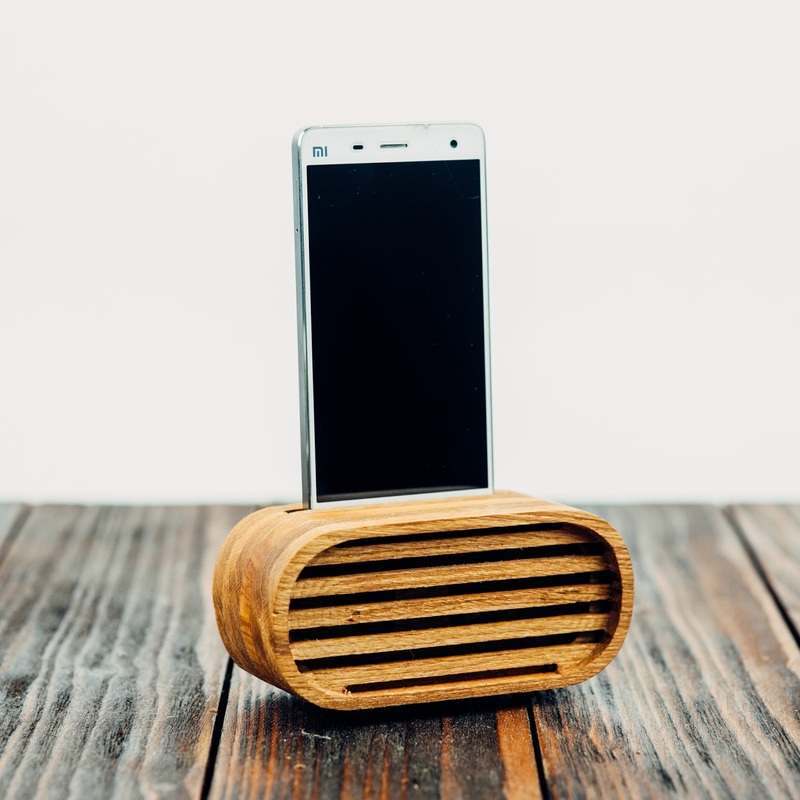 Speaker works great and have real effect. 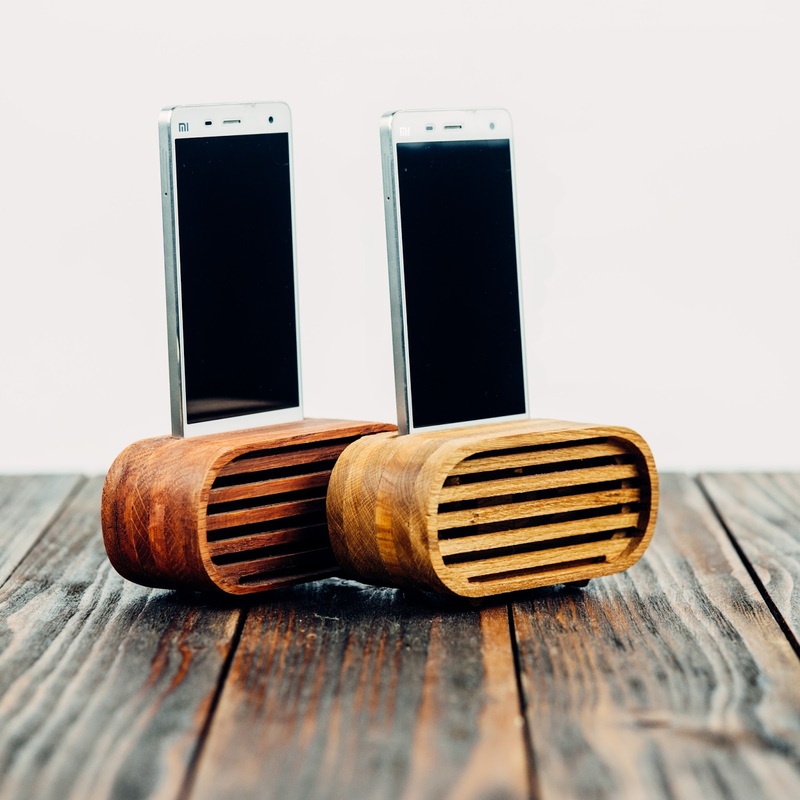 Speaker contains from 2 parts that holding on strong neodymium magnets. Speaker design fits in a same time Apple and Android devices that have speakers at the bottom edge. There are three ways to put charging cable to your phone charging port.